Pelosi doesn’t care about the fallout from open borders. She’s also on the take. Donald Trump had enough and exposed her on live TV! 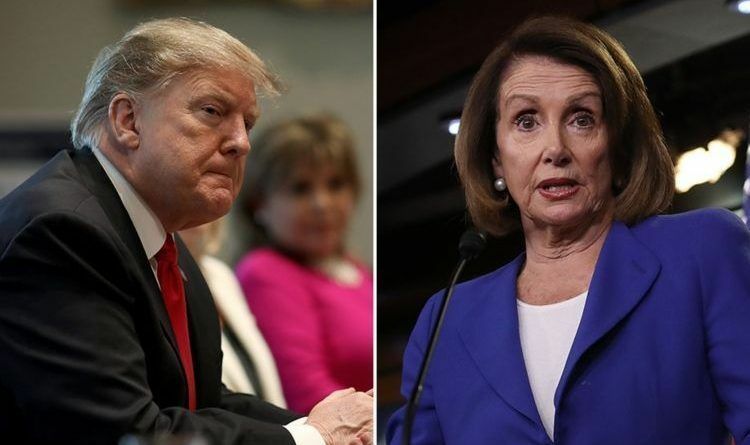 During an interview with CBS’s Margaret Brennan which aired Sunday morning on “Face the Nation,” Trump responded to a question about what he has learned about negotiating with the House speaker by accusing Pelosi of wanting “open borders” and being indifferent to “human trafficking” even though she knows the United States needs border security and some sort of border barrier. When Brennan pointed out that Pelosi has “offered [Trump] over a billion dollars for border security” but doesn’t want a wall, Trump asserted that a border barrier is necessary for proper border enforcement. “She’s costing the country hundreds of billions of dollars because what’s happening is when you have a porous border, and when you have drugs pouring in, and when you have people dying all over the country because of people like Nancy Pelosi who don’t want to give proper border security for political reasons, she’s doing a terrible disservice to our country,” he said. Truth hurts but he’s 100% right. She don’t want walls because that will hinder her money from child trafficking & weapons from MS13 gangs.